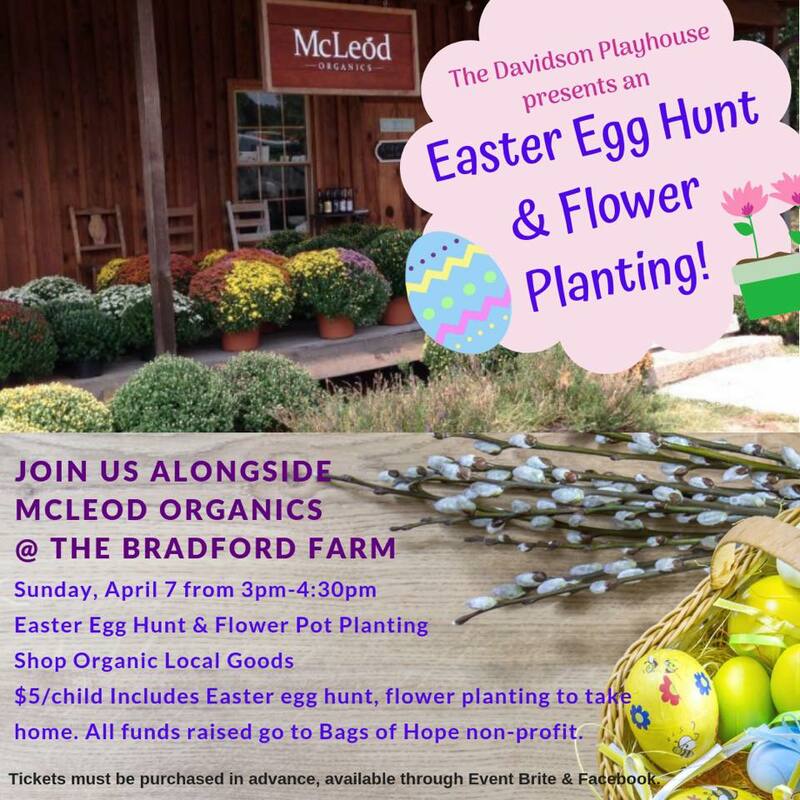 Join us on Sunday, April 7 from 3pm-4:30pm for an Easter egg hunt and flower pot planing event at The Bradford Store! Each child will have the chance to participate in an Easter egg hunt, and then plant seeds in a flower pot they'll get to take home! Enjoy the beautiful surroundings of the Bradford Store, alongside the owners of McLeod Organics. You'll have an opportunity to see the chickens roaming the farm, shop organic and local goods, and enjoy a fun afternoon outside. This is a perfect event for children of all ages to participate because we will only have a maximum of 65 children. Keeping it small means the little ones will get to participate in the egg hunt in a fun and safe way! We can't wait to welcome SPRING with you! !